Over the past weeks, schools across the country have had the chance to witness the lightning speed with which viral videos can travel around the globe, particularly when young people are involved. The trigger in this instance: Invisible Children, a 30-minute video highlighting the horrors of child abduction and other atrocities perpetrated by the Ugandan warlord Joseph Kony that has drawn more than 100 million hits. How should schools handle the tidal wave of emotion, euphoria and what some criticize as "clicktivism" that has consumed the interest and attention of students? I first learned about the video from an eighth-grade student, who described it in vivid detail. I was approached by our Dean of Students, who said a group of sixth-grade girls had stormed his office wanting to know if they could show the video at an assembly and raise money for the group Invisible Children. Soon after, a sixth grade science teacher wrote me asking for advice about an issue that had arisen in his class: the Kony video. As part of the study on clean, available drinking water, the science teacher showed a short video called Ryan's Well about a seven-year-old boy from Canada who raised enough money to drill a well for a school in Uganda, an act that then spiraled into the creation of Ryan's Well Foundation. During the discussion around Ryan's Well, a few students in every one of the science teacher's class eventually led to the Kony 2012 YouTube video. "Needless to say, this was an amazing learning moment for me and the students," he said. "Now the pace of change is so incredibly fast, is there enough time for understanding and reflection?" The science teacher took the opportunity to ask questions and looked into the Invisible Children video. He learned about how videos go viral and he examined the authenticity of the Invisible Children foundation, learning that their practices are not as clean and clear as the students had led him to believe, and the problem with oversimplifying a murky and complicated political conflict. Most importantly, he contacted his students' parents to let them know about the buzz around the video, and he included links to articles and explanations. Not surprisingly, many parents had heard their kids talking about the video but did not really know or understand what it was all about. "I was very confused because my son was talking about child abduction and death," one parent wrote. The communication from school to home helped the parents gather more knowledge so that they could talk about the video and the issues at home. "I'm so glad you shared all the links and explained what has happened. I think parents will appreciate all the information," another parent wrote. "I think we need to think hard about how to evaluate it all. No small task. Experience will be a great teacher. But now the pace of change is so incredibly fast, is there enough time for understanding and reflection? I think we just have to adapt. Understanding what is out there helps. Thanks for including us in the conversation." More and more, schools face the unrelenting growth of social media in kids' lives, and it can be overwhelming to the adults, both teachers and parents, who are often the last to know or find out about the next new thing. Schools need to loop the parents into the conversation so that kids know that the adults in their lives are paying attention and helping to educate kids around the exciting, yet sometimes thorny issues surrounding social media, including authenticity and smart consumption. This question of critical consumption is key for teachers and parents to consider. 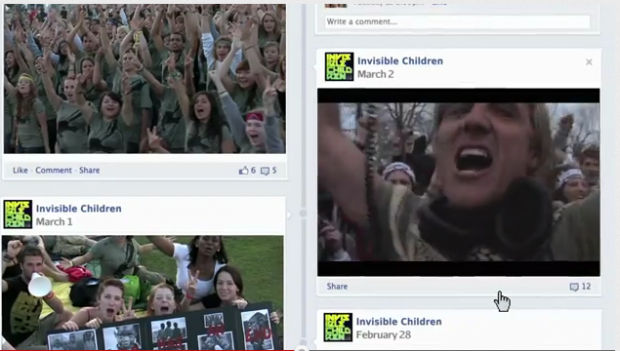 "Invisible Children knew that it was targeting culture makers and youth [...] When celebrities receive this kind of onslaught from their fans -- and, especially their younger fans -- they pay attention," writes youth culture researcher Danah Boyd in a recent post. Kids can easily get swept up in the tide of celebrity "do goodism" and quickly miss the larger forces at work behind viral videos. For kids, it's exciting to get caught up in the energy of a cause, and, as Boyd notes, "young people feel like they did something by getting a celebrity to pay attention to a cause." And yes, let's face it -- kids also suffer from FOMO - "fear of missing out." But as Henry Jenkins, a USC professor and researcher of youth participatory culture points out, "this critique ... ignores the possibility that the movie may be meaningful in mobilizing young people as civic actors... Even when young people want to create social change, finding ways to get meaningfully involved, particularly in world affairs, is described by many members as a challenge. A key strength of Invisible Children, and one that Kony 2012 exhibits as well, is the way it offers young people actionable steps, concrete channels to express a pre-existing activist desire." So how do we help kids become critical consumers, instead of just mass consumers of content? 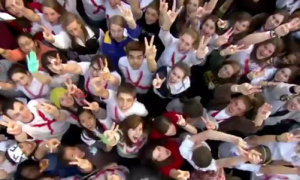 How do we leverage their enthusiasm and passion for social good in the world? We certainly don't want to dampen their enthusiasm and optimism that they can do something to change the world for the better, but we also do not want kids jumping in blindly to support and spread the latest social cause craze, like Kony 2012. Listen and pay attention to what kids are doing on social media and engage in the conversation. Schools should keep parents in the loop to help them know how to navigate controversial topics that first emerge at school. Offer talking points, questions and links to articles and sites to help facilitate the home conversation. Examine sources and Web sites together and question authenticity of information. What are the facts? How do we know information is accurate and true? Discuss philanthropy. What does it mean? Where and how should one give money online? Is the money being given to an organization getting into the hands of the people who most need it? How do you verify that? Understand about virality of videos by watching Kevin Allocca's Ted Talk, "Why Videos Go Viral." The Kony video has ignited passion, but it's also generated important questions and issues for us to think about, especially as we work to help guide kids to make sense of social media and the globe. 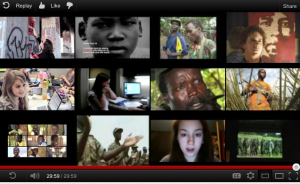 The Kony video is a case study that every school should examine and unpack with kids and parents. Thanks to the kids for teaching us to learn quickly. Matt Levinson is the Head of the Upper Division at Marin Country Day School in Corte Madera, Calif. and the author of From Fear to Facebook: One School's Journey.